This delicate blend is as good with Sea Bass as it is with Mackerel! 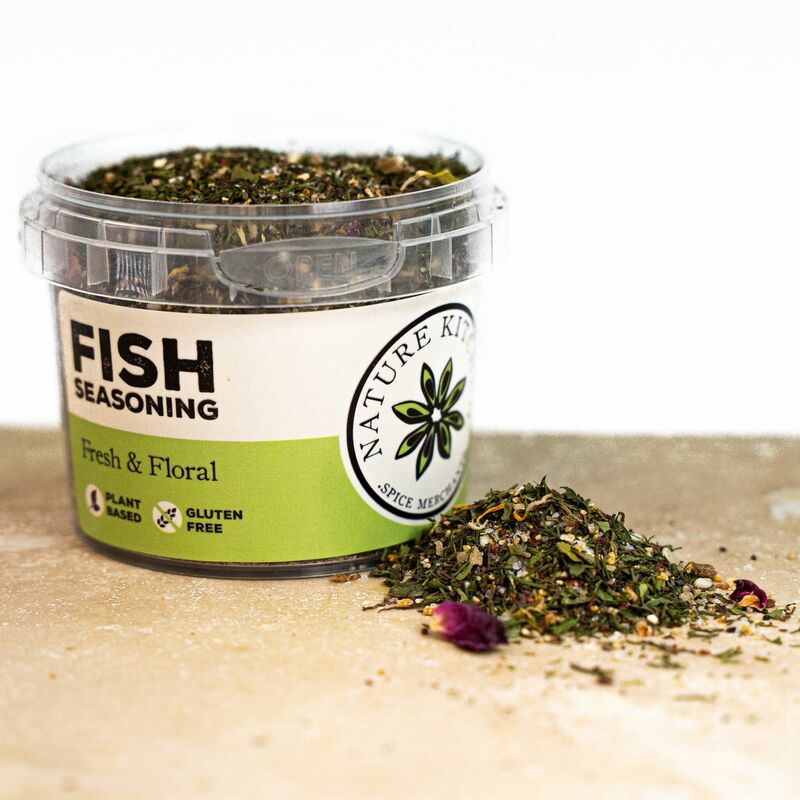 Jam packed with delicious herbs and spices, not to mention the nuts and seeds, this is perfect for any fishy dish! Its herby consistency topped with almonds, pumpkins seeds, sesame seeds and delicate petals makes this attractive spice blend a beautiful tasty addition to some fresh line caught fish, Try it with steamed veg if you prefer; the flavour is deliciously mild and refreshing. Wash the fillets & pat dry with kitchen paper. Make 3 or 4 diagonal cuts into the skin of the fish & brush both sides with olive oil. Sprinkle the Nature Kitchen Fish Seasoning over the fillets & pat it all in, making sure it gets into the cuts. Grill for 3 to 4 minutes on each side, until the fish is just cooked, basting with more oil & seasoning as you go. Love this blend! It's great on salads, but I mainly use it when I'm making home made bread, sprinkle it over the top and it tastes amazing!